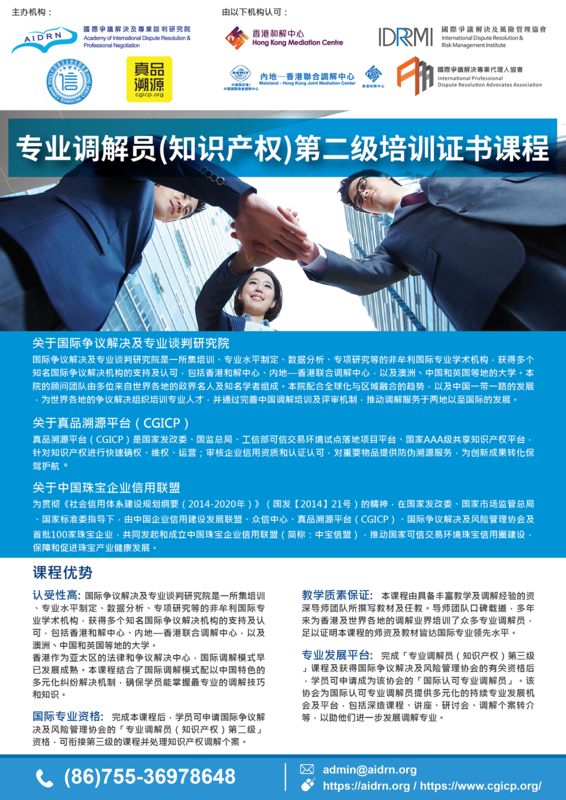 The 4th Conference on Jurisprudence in Guangdong, Hong Kong, Macau and Taiwan was held in Shenzhen on 19 December 2018. 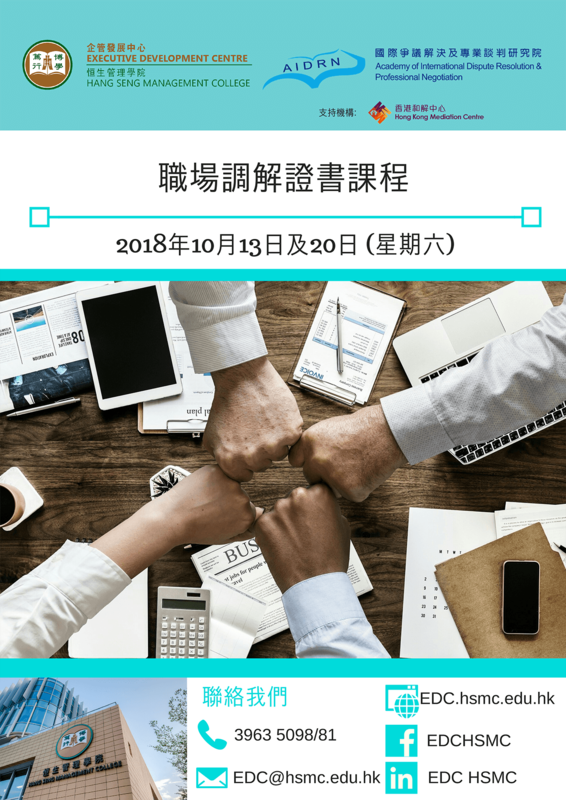 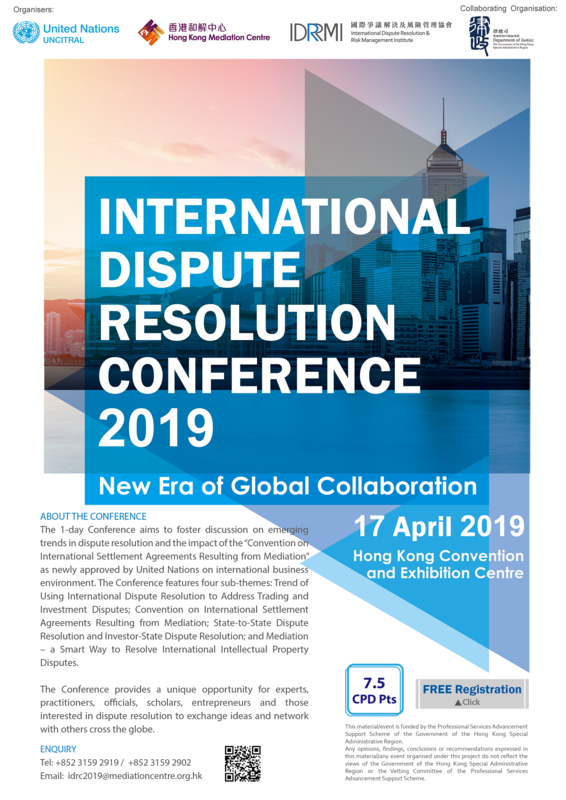 Aimed to promote legal co-operation in the Greater Bay Are, the conference was jointly organized by Guangdong Province Law Society, School of Law of City University of Hong Kong, and Faculty of Law of University of Macau. 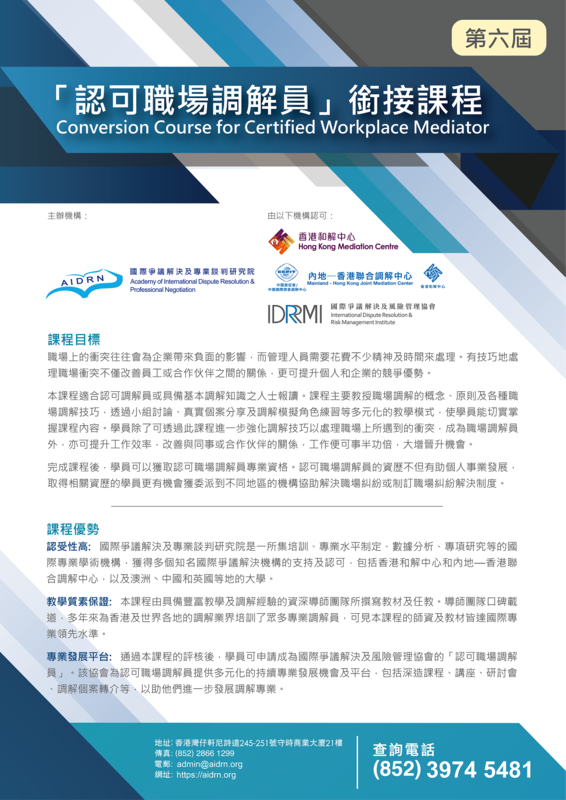 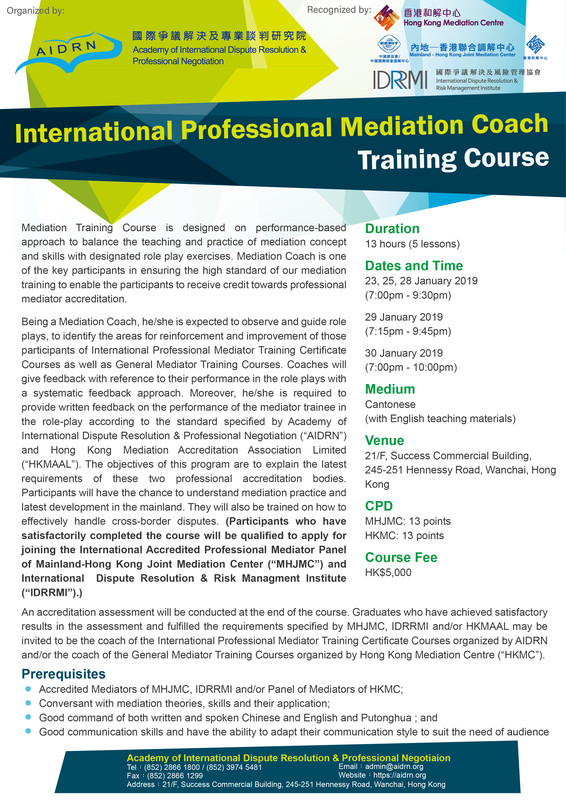 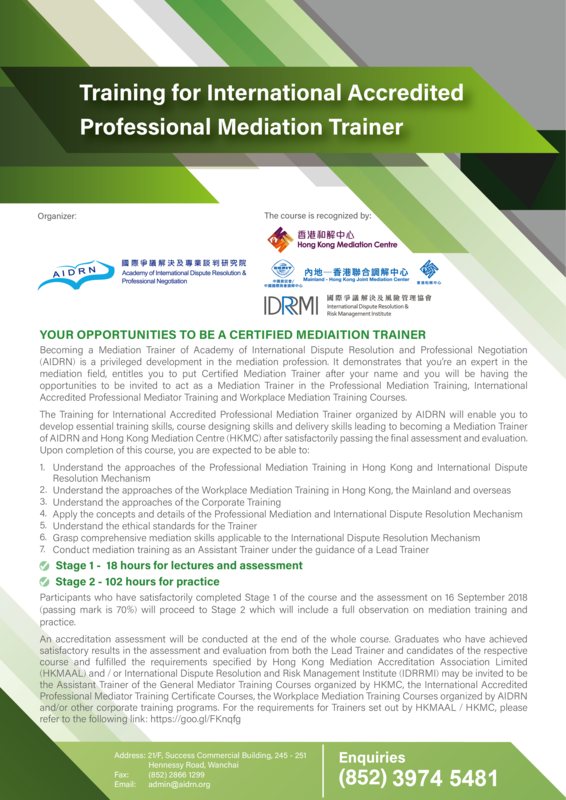 The 8th Cohort of International Professional Mediator Training Certificate Course, co-organized by the Academy of International Dispute Resolution & Professional Negotiation and Shanghai Oriental Mediation Center, was successfully held on 12 - 16 November 2018. For more details, please refer to https://www.navi.com.hk/. 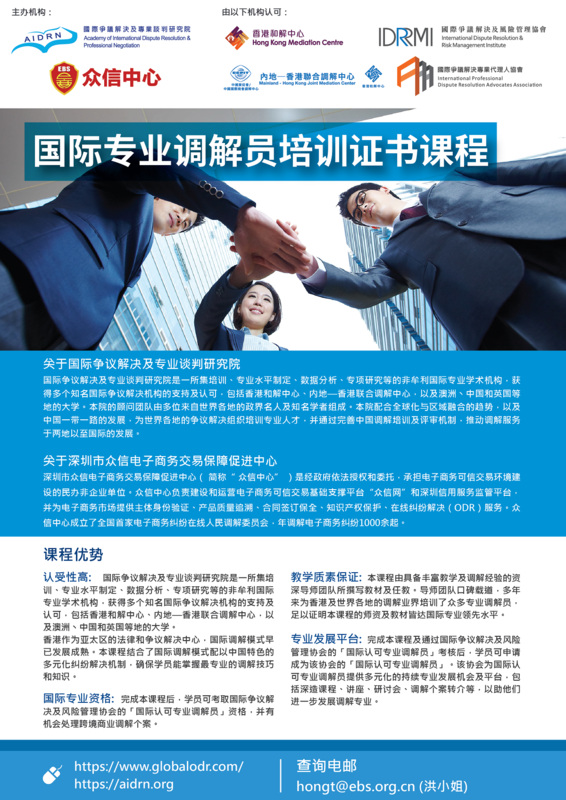 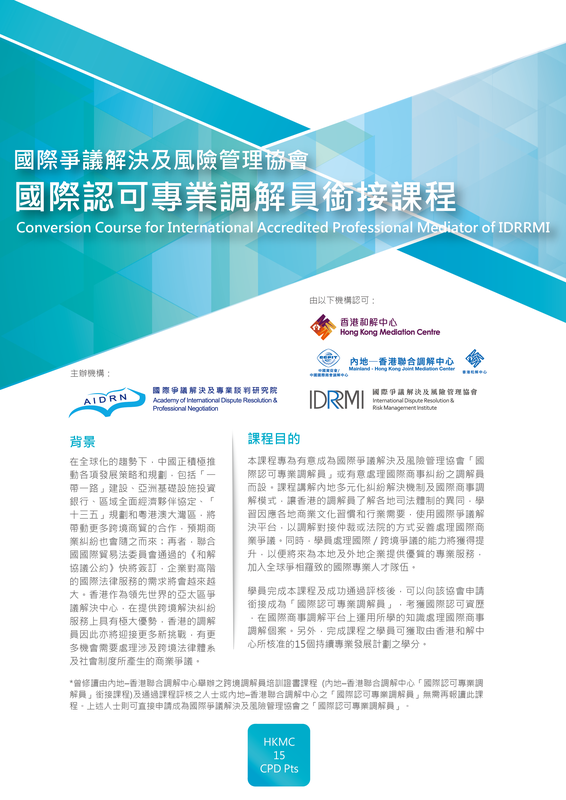 Please click here to download the presentation (PDF - Chinese only).